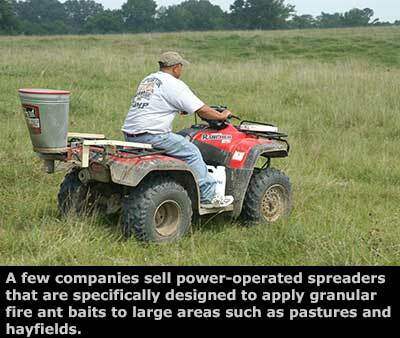 Fire ants occur in every pasture, hayfield, and barnyard in the state. 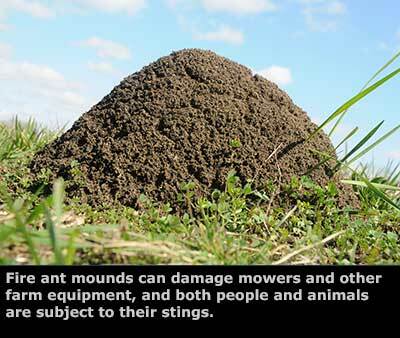 Although they are definitely a nuisance and hazard, it may not always be worth the time and expense required to control fire ants. 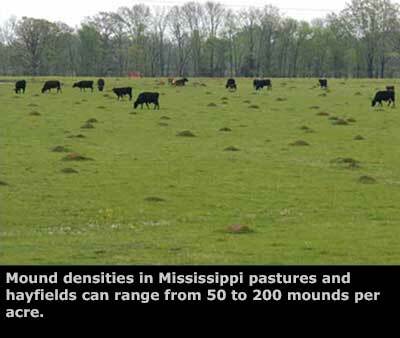 Most Mississippi pastures are not routinely treated to control fire ants, and it is difficult to argue that it would be economically justifiable to do so. 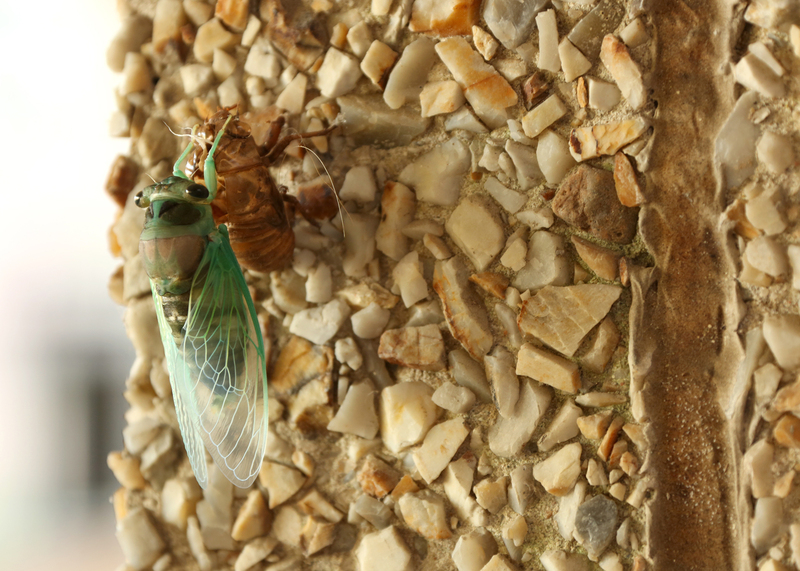 However, there are many situations where it is desirable to control fire ants. 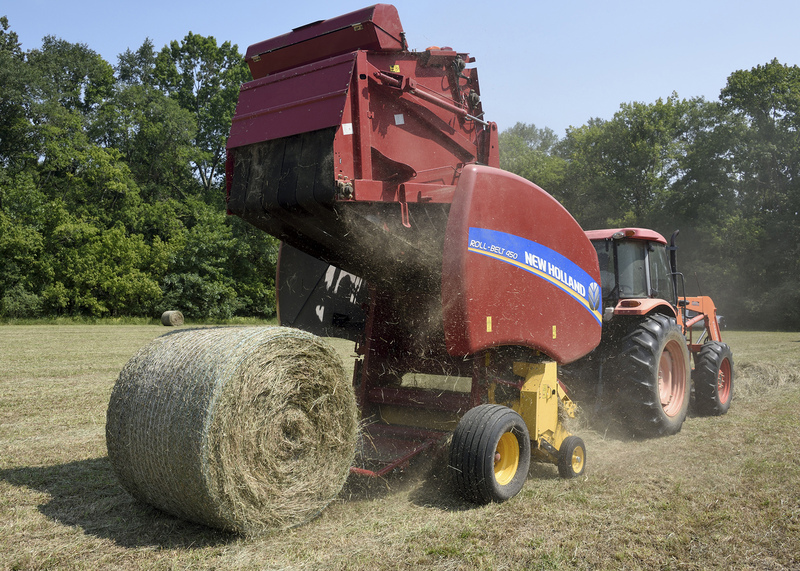 These range from frequently used barnyards, horse pastures, and lamb or goat pens to highly managed hayfields. 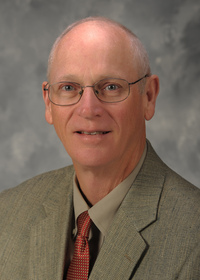 The decision as to whether or not to control fire ants on a particular field or barnyard is up to the individual producer depending on how the area is used. 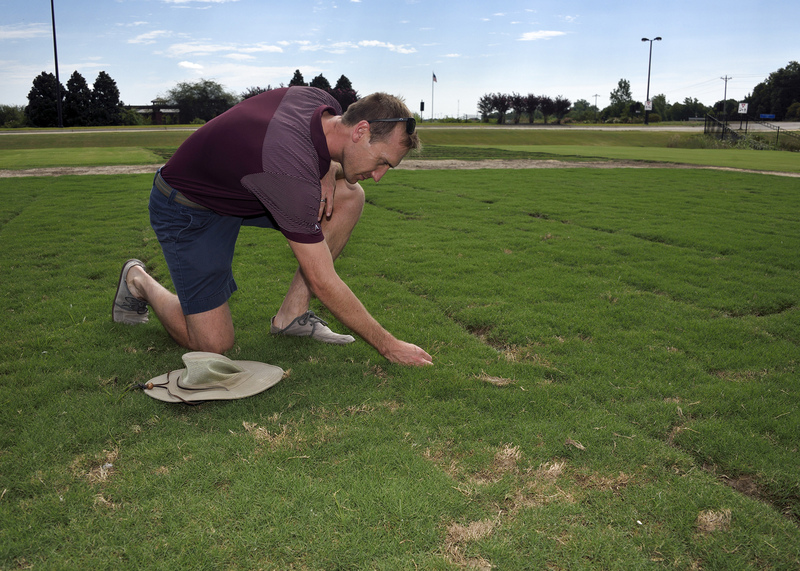 Fortunately, there are tools available that will allow producers to control fire ants in such settings, even when grazing animals are present, with relatively low labor and costs inputs. 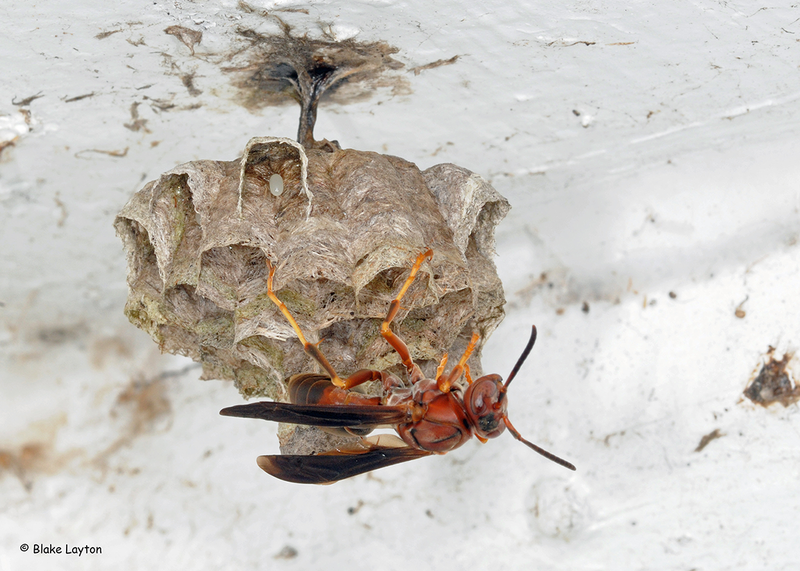 All Mississippi counties are infested with imported fire ants and baled hay and straw must be certified as being free of fire ants before it can be shipped to uninfested areas. See the Imported Fire Ant Quarantine Map. 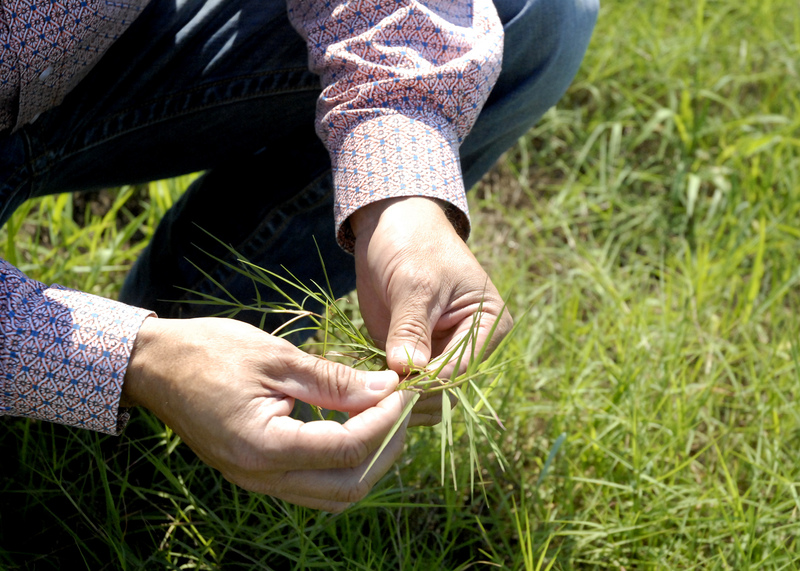 Before shipping hay or straw outside of the Imported Fire Ant Quarantine zone, contact the Mississippi Department of Agriculture’s Bureau of Plant Industry to arrange for inspection(s) and certification. 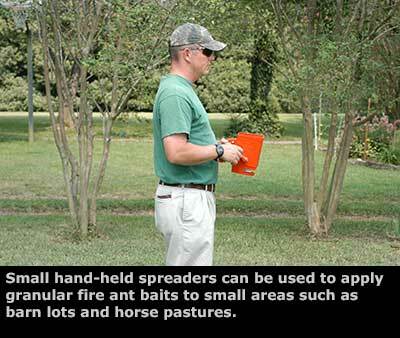 See the USDA, APHIS publication, Questions and Answers for Producers, Sellers, and Buyers of Baled Hay Moving from Areas Under Quarantine for Imported Fire Ant, for additional information about shipping baled hay and straw outside imported fire ant quarantined areas.